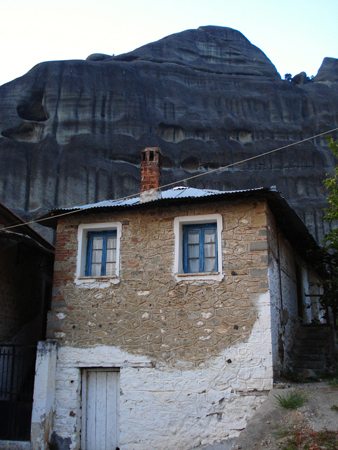 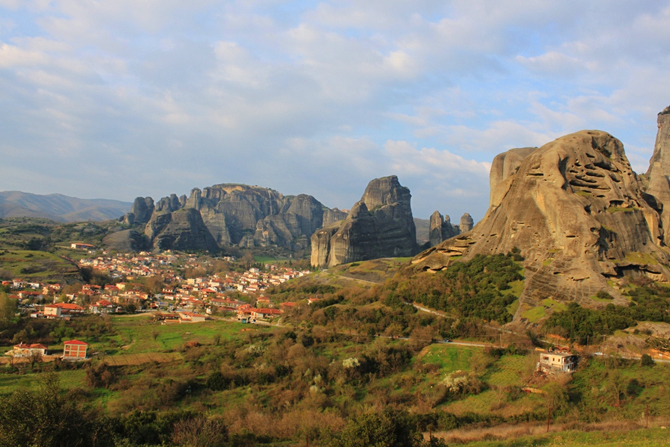 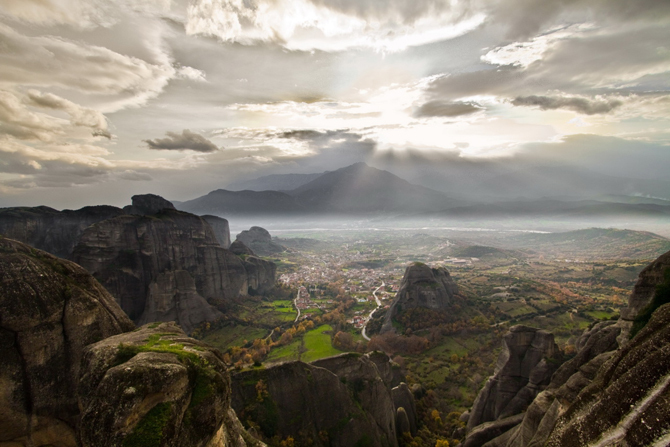 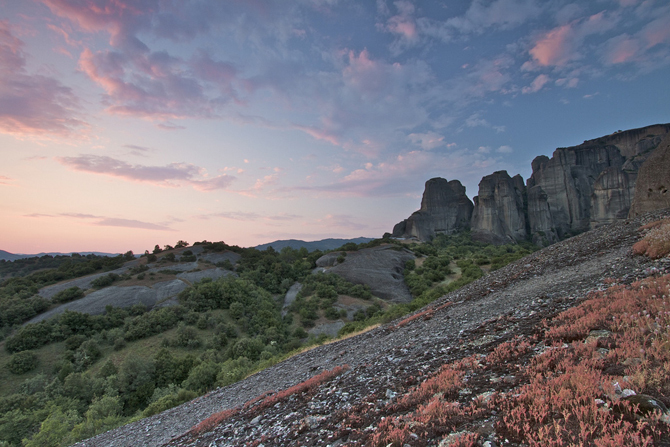 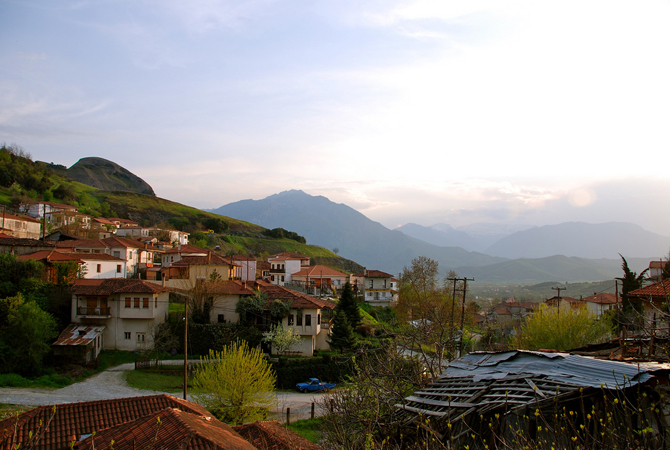 Kastraki seems to have been built in the roots of Meteora. 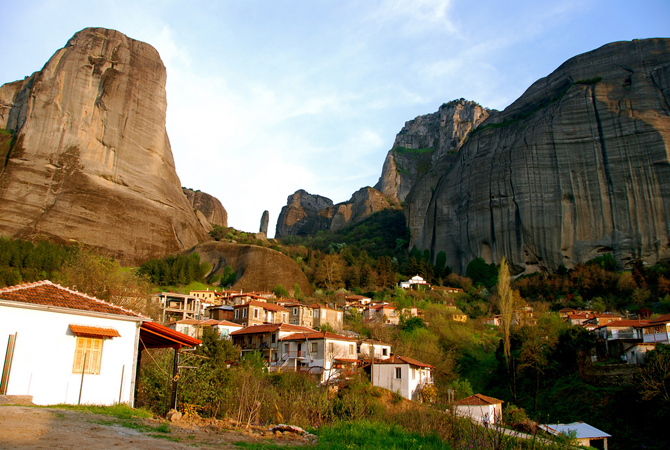 It’s a traditional village and is a listed traditional settlement, which is characterized by its picturesqueness, its bloomy gardens and, of course, by its imposing massifs standing behind it. 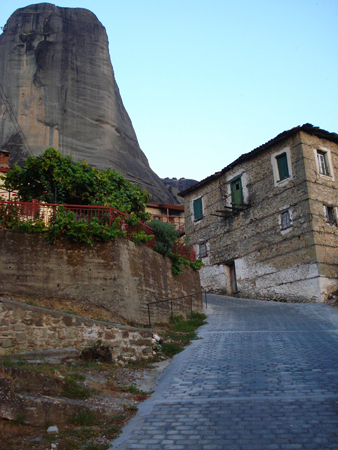 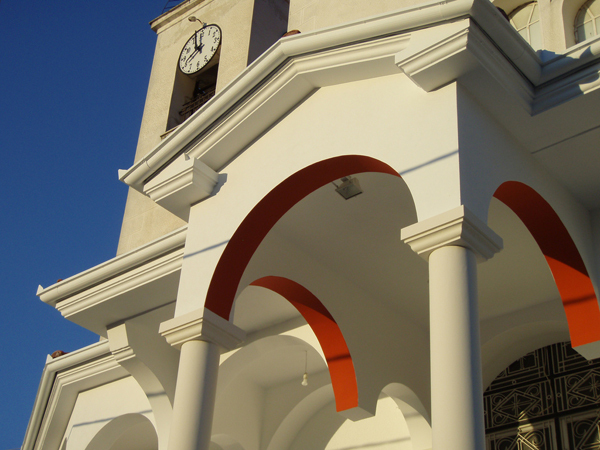 In Kastraki at St. George’s Day it’s a tradition that people climb with a rope up to the Monastery of St. George and tie a handkerchief on the wall.